Welcome to the first Flashback Friday post. 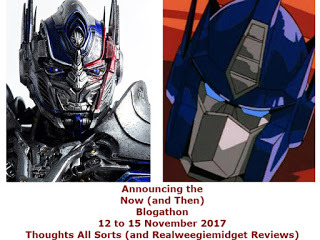 True, most of the content in this post has been posted earlier in the Production Bible - Hurricanines post last year, but this one is going to be a little more in-depth with the cartoon premise. 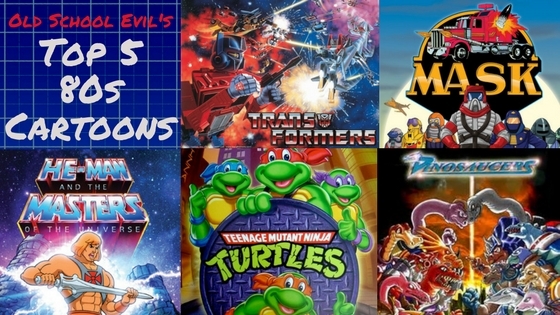 When I made up the first round of cartoons for Old School Evil (Hurricanines, Defenders of Dino City, and Ultra City Ultra Twins), just like the villains for each show, I merged different cartoons to come up with my original ideas. With Hurricanines, even though the main villain, Major Max Malice the Menacing﻿, is a combination of Miles Mayhem from M.A.S.K. and Mumm-ra from Thundercats, the cartoon itself is a combination of Teenage Mutant Ninja Turtles and GI Joe, featuring two opposing military forces that are mutated into half-human, half-dogs. It's all spelled out in the production bible, including the origin story. The Hurricanines are a security force tasked with protecting a powerful mutagen from falling into evil hands. Housed inside a mobile laboratory called the Doghouse, the team of militaristic guards protects the precious formula. As scientists create the world-changing mutagen, the leader of the force schemes to steal the formula to take over the world. Major Max Malice recruits some of the Hurricanines to his side with promises of power and money. On a special run to turn the formula over to the federal government for safe keeping, he attempts to steal the formula, but it rebuked by his protégé, Lt Barksmore. During the fight, the transport vehicle crashes and the mutagen is let loose on the entire crew, combining with DNA from their mascot – Captain Canine– and turning them into half-human half-dog hybrids. Malice escapes with his troops, now calling themselves the Muttants, and intent on stealing the formula at any cost. Hurricanines first and foremost is a military show focused on selling vehicles and playsets with action figures. Each side, the Hurricanines and Muttants, will have a mobile headquarters and vehicles of varying sizes. Care must be made to showcase each vehicle’s features. Each story will be ended with a big clash between the two sides; do not be afraid to show each of the characters using their signature weapons. They can all use generic weapons when in a regular fight, but during any episode that focuses on a specific member of either team, they should be using their signature weapon. 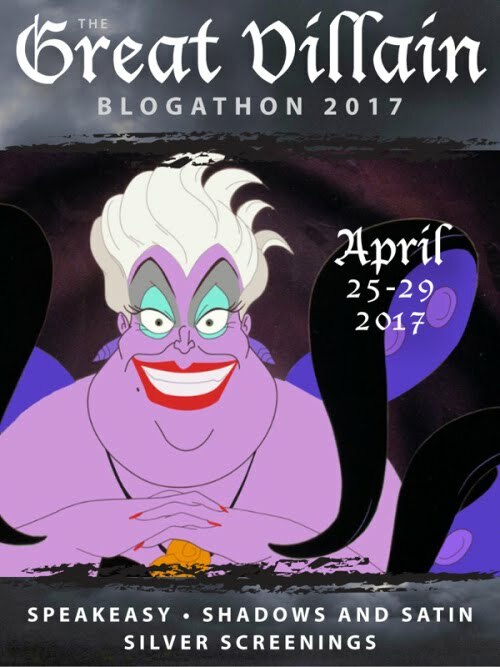 Though writers should not be afraid to use villains not associated with the Muttants, they should be used sparingly. Their focus, however, should never be on the formula as only the Muttants know of it; for example, they can be used as threats to the Hurricanines due to single-use family members to gain control of the Dog House. At the end of each episode, there will be a PSA. The PSA is not required to pertain to the content of the episode, but should be shared by the main character in the episode. PSAs should generally be performed by the Hurricanines, but don’t be afraid to have the Muttants do it if it fits with the theme of the PSA; Malice yelling at Gobber for not being careful with gasoline. 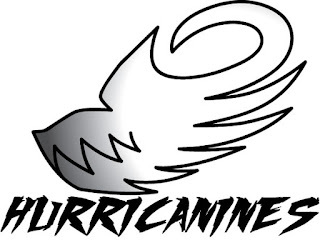 The Hurricanines are a well-oiled military machine, willing to risk life and limb to keep the Hurricanine formula from falling into the wrong hands. Members have a strong sense of teamwork and are eager to help anyone out of a jam. Though they are not ashamed of becoming hybrids because what they did was right, they are determined to keep their existence a secret from the public, as they are a classified operation. Personality – Barksmore is a no-nonsense military leader. Very strong belief in giving your all and expects the best from his men. He is reluctant to join into battle and put his troops into danger, but knows what has to be done. Uniform/Weapon – Wears his military uniform in full regulation with an 8-point hat. He wears urban camo, white, gray, and black to match his fur and carries a standard M16 assault rifle. Uniform/Weapon – Wears normal jungle camo with no overshirt and aviator-style glasses. She carries twin uzis. Personality – He’s the old guy, fat and lazy. He talks a lot about the old days and other battles he’s been in, but everyone generally ignores him. He usually puts up a big stink when it’s time to fight, but he’ll go in guns blazing if any of his other soldiers are in danger. Uniform/Weapon – Wears desert camo,overshirt unbuttoned with an undershirt with a low collar underneath, a big tuft of fur sticks out the collar. His pants are untucked from his boots. He carries a big Gatling gun. Role/Specialty – None – he’s just learning the ropes, wants to be a leader. Personality – He’s the newest recruit and is eager to prove himself to Barskmore. He’s got a lot of potential, but rushes into battle too fast and takes too many risks. Has a crush on both Long and Fluffy, but neither take him seriously. Many episodes end with him learning to be more careful and pick his fights. Personality – When she’s working, she’s so serious, she’s practically a robot, but when she’s not on duty, she’s the team jokester. She’s embarrassed by Panchet’s advances, but doesn’t really respond to them. She is the only one that likes listening to the Bulge’s stories. Uniform/Weapon – As she is not involved in combat (besides a special episode or two), she wears a dress uniform and doesn’t carry a weapon. Dog – Poodle, mostly white with some pink highlights. Uniform/Weapon – Wears a black leotard with an open came jacket over it. As no toy will be produced, she does not carry a special weapon. Dog – Pug , tan. Personality – He’s a dog. He is very curious and sniffs around everything. He usually gets scared by the bad guys but will fight them if backed in a corner or one of the Hurricanines is in trouble. He’s comic relief for many of the episodes. Uniform – Wears an 8-point hat. This sample of the production bible includes a lot more info than the original post did, including the whole Hurricanine roster and the settings in the show. I've got all the cliché characters here - the grumpy older veteran, the lovesick guy and his object of affection, the competent leader and more gung-ho second-in-command. Even the mascot character. Ireally enjoyed creating this show and filling up the cast with colorful characters. I'm saving Max's villainous forces for next week so he can get a full introduction, along with the rest of his team, the Muttants. I'll also be posting the episode premises. Here's where I'm hoping you readers will be able to help me. 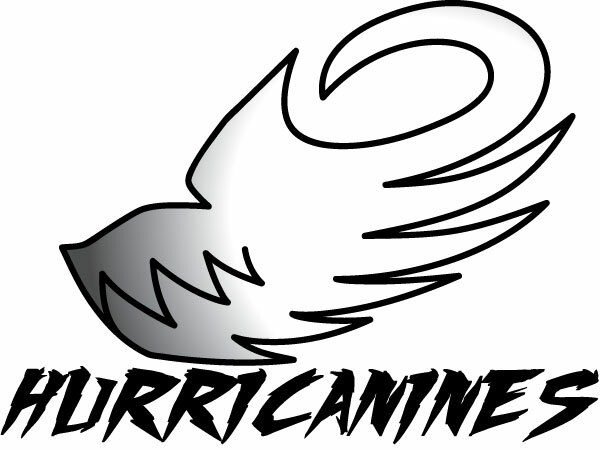 When I created the insignia for the Hurricanines (seen above) and the Muttants (seen next week), I only did line drawings with no color scheme. I want to make them more colorful, but I'm not sure what would look best. I've taken a look at a lot of the logos for the existing shows for inspiration and I have a few ideas, but looking at them, what color scheme do you think would look best? Leave a comment below and give me your suggestions!